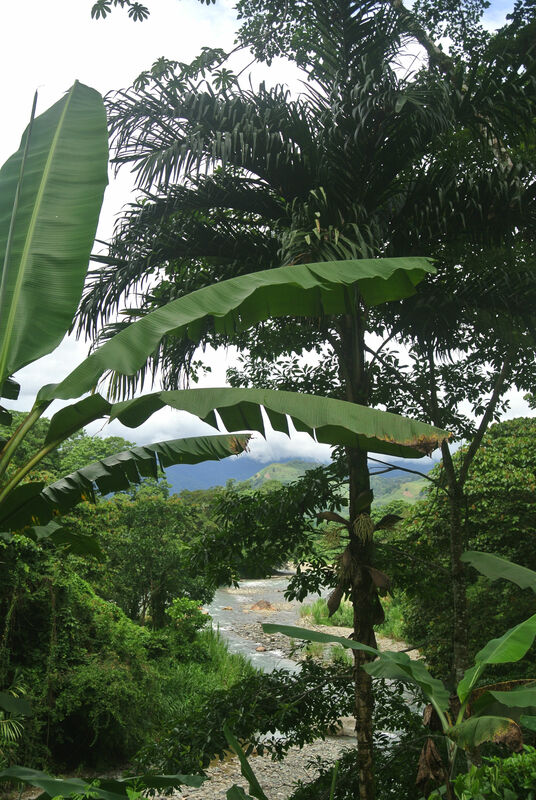 If you have time, take a drive and explore the beautiful Turrialba Valley. It is so vast and diverse, that you must explore it in parts. 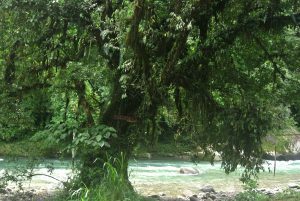 So for this post I invited my daughter and a neighbor and we took a drive in the direction of Atirro, Oriente and Pejiballe. 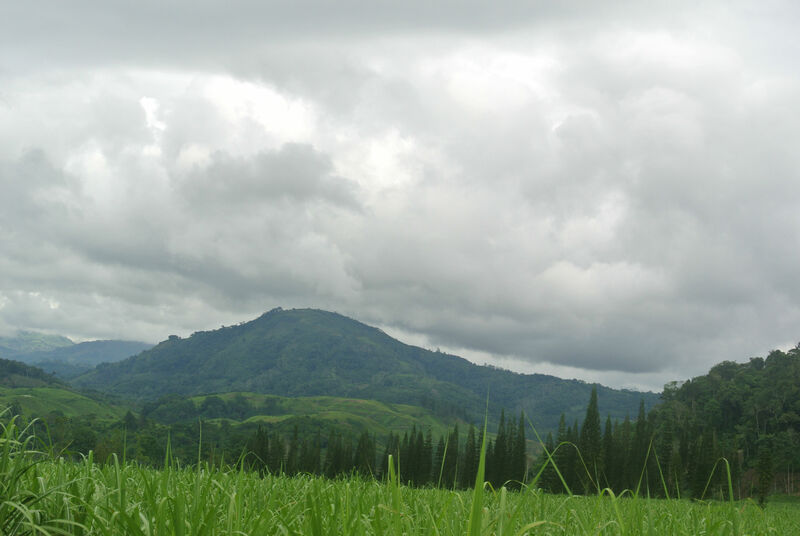 This is the sugarcane producing area of the Turrialba Valley, low, hot and humid, but very, very scenic and full of surprises! 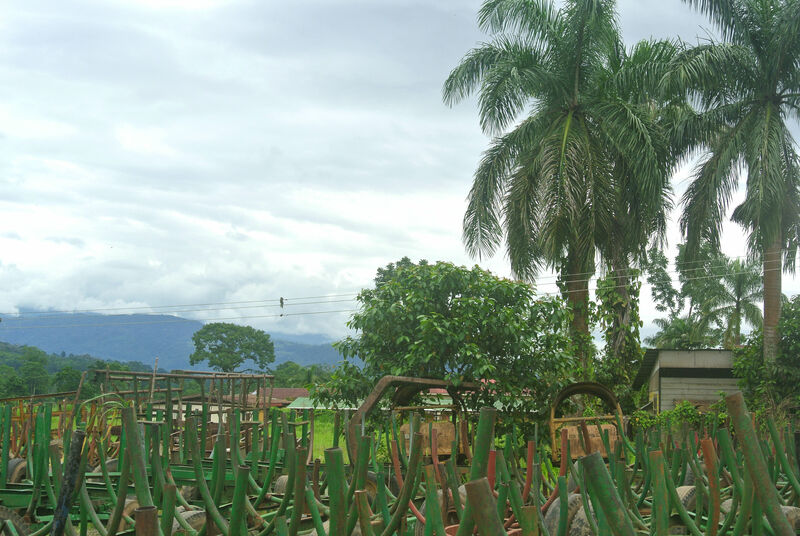 First we drove to Atirro, where there is a sugarcane processing plant. 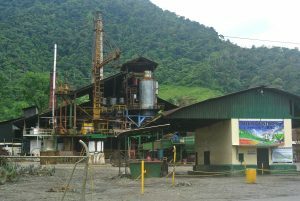 At the moment the plant is not in operation, because the sugarcane has not yet been harvested. But still, the plant is impressive even if not functioning right now. The sugarcane in the fields around is growing, but is still low enough to show the beauty of the landscape. From Atirro we took the road through the sugarcane plantations of theTurrialba valley and headed direction Oriente and Pejiballe. 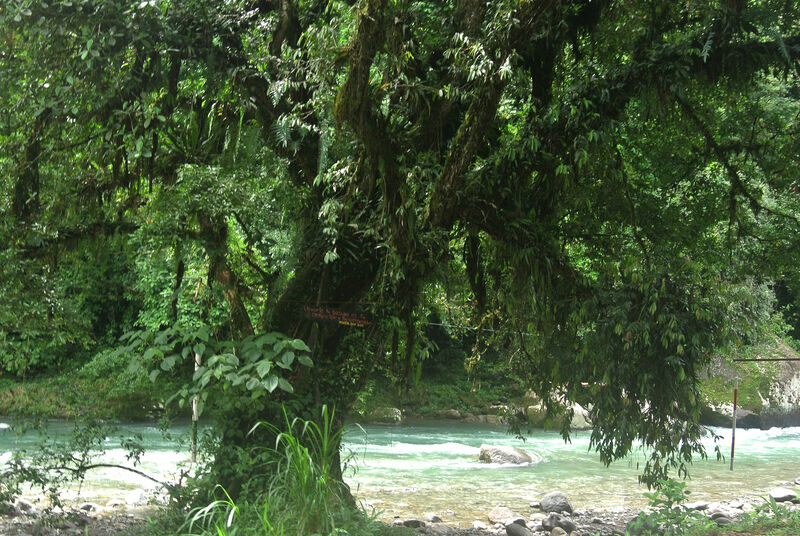 Pejiballe is blessed with the turquoise waters of the Pejiballe river that meanders undisturbed between its’ hills. This is the ‘Tropical Riviera’ of the locals. Families from allover theTurrialba valley, town and volcano swarm here on Sundays’ and national holidays. They bring along their picnic and enjoy a swim in the river. But the river is also used for river rafting and kayaking by several companies, usually for tours that will include children. 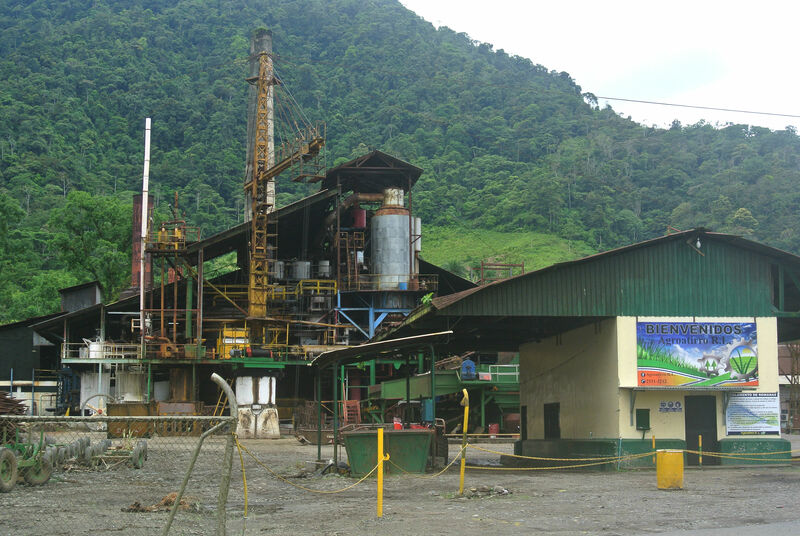 From Pejiballe you reach la Marta private reserve, which is connected to the Tapanti National Park. Both La Marta and Tapanti are unique parks with a very high rainfall. But we did not enter the parks on this occasion. We will visit these sometime in the future, so look out for a post on them! Back in Oriente, between the sugarcane plantation of the Turrialba valley, there was a lot going on. 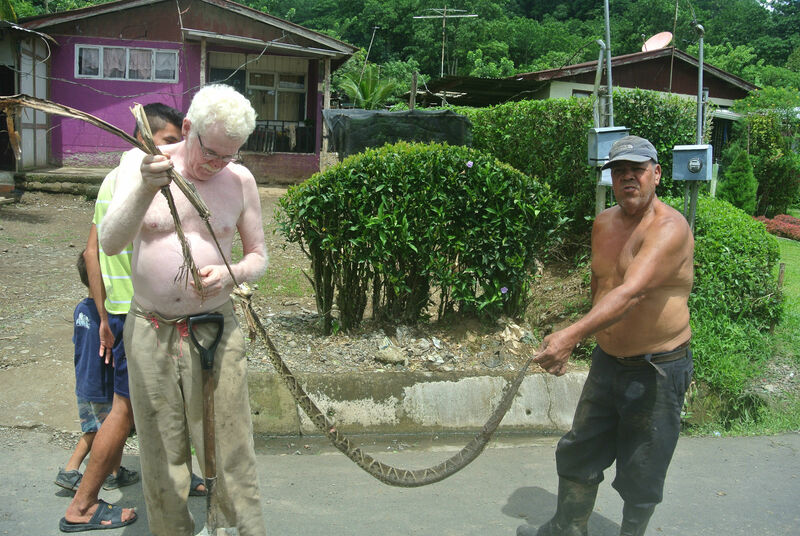 A man had a poisonous snake dangling from some improvised rope of sugarcane leaves. 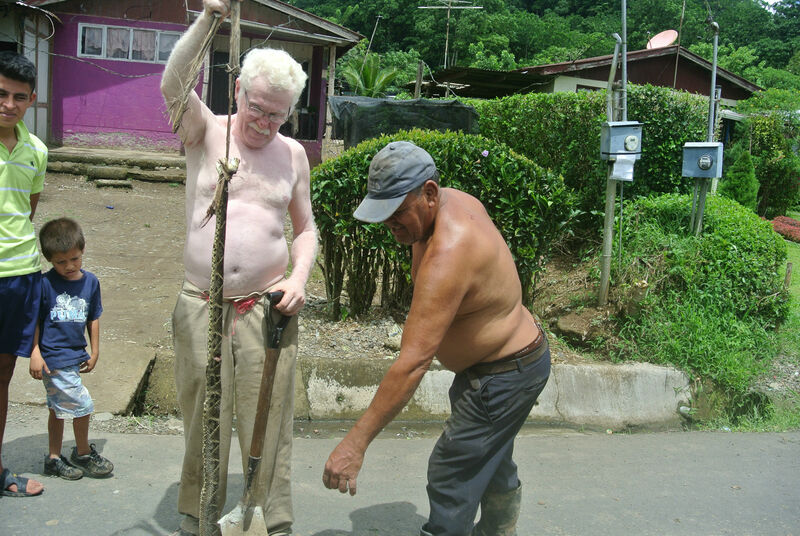 The man had just come back home from tending his plot of land and had killed the snake. Now he was proudly showing this to his neighbors. He himself, was a daring sight on his own. As white as milk in the hot tropical sun. And I am still wondering how he manages not to burn. 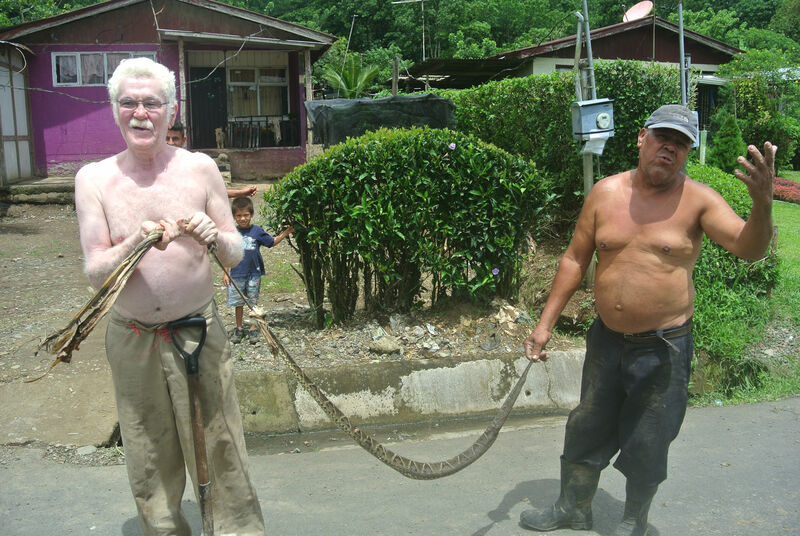 Anyway, he kindly held up the snake for us to see and photograph. So when his neighbor realized that we were taking pictures, he joined in too. Together, the two men held the snake so we could see its length. They first identified it as a ‘terciopelo’ venomous pit viper (Bothrops asper). Then they changed their mind, because it had two rows of teeth in its mouth. 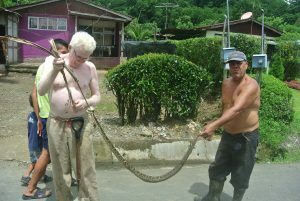 So, now they decided that it was a ‘matabuey’ or Central American Bushmaster, an other venomous pit viper (Lachesis stenophrys). Anyway, to me they pretty much look the same! And I’m happy not to find one crossing my way!